LynchyRightNow: Bulldogs, Blue Devils, Get After It! Good v. Evil; That's how we are dubbing the National Championship, aren't we? When the Duke Blue Devils tip off against the Butler Bulldogs on Monday night, they'll have a country against them, a nation cheering for the underdog. For Butler, they rest on the cups of a National Championship opportunity to put both the Butler basketball program on center stage and make a statement for mid-majors from coast to coast. For these two programs the road has not been easy, filled with potholes and or naysayers at every intersection. So just how did they get there? For the Bulldogs of Butler . 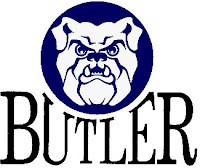 . . Beginning as many peoples (5) seed to get upset by a (12), the Butler Bulldogs would face a very hot UTEP team. Heading into the half of their first game, Butler was down six and making many look very smart. As they have several other times in this tournament, the Bulldogs would put 50 points on the board in the second en route to a 77-59 beatdown of the UTEP Miners, crushing my bracket and a few more. Shelvin Mack on our radar folks, his seven three's in the first round game woke me up. Next up, the Murray State Racers, the team coming off an upset first round win against Vanderbilt. Murray State won 31 games in 2009 and gave Butler almost all they could handle. Outrebounded 38-20, the Bulldogs punched their ticket to the Sweet 16 in about as tight of fashion as you could with a 54-52 nail biting victory. No more double-digit seeds for Butler, Syracuse up next, their regions top seed. The Bulldogs played man defense against Syracuse and took them out of their game from the opening tip. Becoming more legit by the minute, Butler would hold off Syracuse and their late run to advance to the round of eight. Forcing Syracuse into 18 turnovers, Butler made a statement with their victory, don't forget about a team that is consistently in the tournament and is in the midst of a 20+ game win streak dating back to before the New Year. Over the next two games, two wins of course, the Butler Bulldogs would lean on their sophomore guard slash forward, Gordon Hayward. Scoring a game high 22 points in their Final Four clinching game against Kansas State, Hayward would go onto pull down nine rebounds and lead his team to Indianapolis. Against Michigan State, in one of the most exciting games of the tournament, Hayward would pour in 19 points including three clutch three balls. Through some very well coached teams, and more athletic opponents, the Butler Bulldogs survived to continue to fight and they'll do so against Duke tomorrow night. 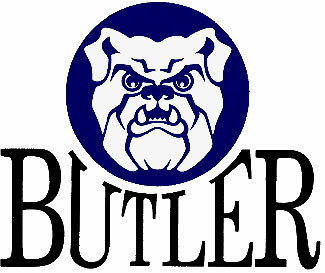 Why the Butler Bulldogs will win the National Championship: Because I picked them to lose in the first round to UTEP. Because they've already defeated Jim Boeheim and Tom Izzo. Because the name Gordon Hayward is now known from coast to coast. 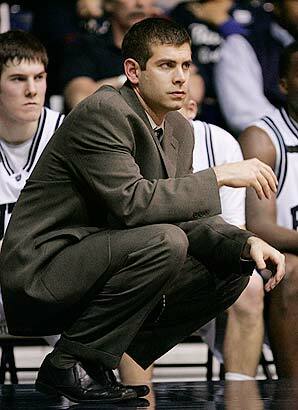 Because head coach Brad Stevens reached the Final Four the same season his predecessor Todd Lickliter was fired at Iowa, the school he left Butler for. Because Stevens looks the part of a Butler student, not their coach. Because they go to school less than ten miles from the building they'll play at for the National Championship on Monday night. For fate, for destiny, for the right place at the right time, but more importantly because they may just be the best team in the country, the Butler Bulldogs will cut down the nets in Indianapolis on Monday night. For the Duke Blue Devils, their road . . No matter what happens tommorow night, many are going to point to Duke's region and say that was too easy. Winning your first three games of the tournament by an average of 19 points, that comes with the territory. However, to Duke's credit, they do get everyones best shot and beating a talented Purdue team without Robbie Hummel is still a tough task. Rolling through Arkansas-Pine Bluff and a soft PAC-10 Cal Team, the Blue Devils really hit their stride against Purdue. Big men Lance Thomas and Brian Zoubek would do their jobs, combining for 19 rebounds and playing solid defense. 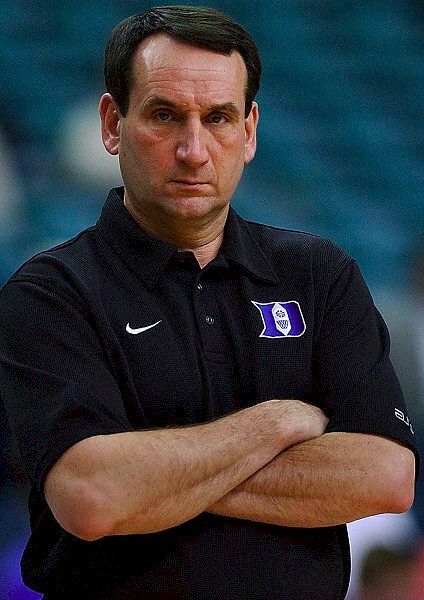 Allowing Duke's big three to turn around and shoot the lights out. Between Kyle Singler, Nolan Smith, and Jon Scheyer, the Blue Devils guards would go on to score 57 points, as many as the entire Purdue team did that night. Against a tough Baylor team who had cruised through the tournament, the Blue Devils would again lean on their shooting as they had all year long. Going 11-23 from beyond the three point line, the Blue Devils would shut down Baylor by playing tough defense and slipping into their game very easily, playing good defense and outrebounding your opponent. Then game the game that convinced me and most likely everyone. Their blowout win over the Big East Tournament champion West Virginia Mountaineers on Saturday night. Center Brian Zoubek would pull down 10 rebounds, as they again outrebound their opponent. Smith, Scheyer, and Singler would each record three or more long balls on a night where they comebined for 63 points, six more than their opponents. With a team that forces you to play their way, they've left the likes of a Big 10 power, a Big 12 opponent, and of course a Big East team. You may agree that from top to bottom the ACC isn't impressive, but at the very top the Duke Blue Devils could be cut down the nets tommorow night, the same thing a top ACC program did a year ago. Why the Duke Blue Devils will win the National Championship: Because both you and I are going to be rooting against them. Because while being one of the most hated programs in the country, they're on the cusp of their 4th National Championship. Because Mike Krzyzewski doesn't recruit "1 & Done's" and unlike John Calipari who does just that, he's still not given his proper due. Because if this ACC heavyweight wins a National Title on Monday night, the naysayers will still talk about how the tournament committee paved their way. Because while you say Wall, Turner, Cousins, and Favors, we continue to overlook Jon Scheyer, Duke's second team All-American senior guard who will play on Monday night. For themselves, when the Duke Blue Devils are crowned National Champions, it'll be just for them, because they're their own biggest fans, and maybe their only fans. Whichever team comes up biggest tommorow night will cut down the nets and cap of a dream season. The Blue Devils adding a fourth championship to the rafters and building the legacy of Coach K even more. 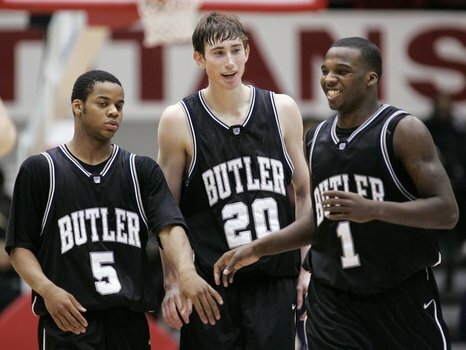 The Butler Bulldogs doing what we've never seen a mid-major do, win it.